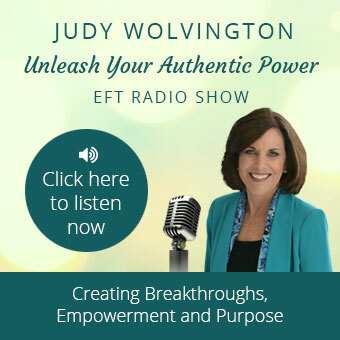 Are you an EFT Practitioner or other healing professional, and you’re stuck and struggling because you’re not making enough money? Have you been under-charging for your services? Are you serving humanity out of the goodness of your heart, and feel it would be selfish or unspiritual to charge more for what you do? Do you treat your business like a hobby, expecting to get paid very little? Are you ready to give this up, and create a successful business instead? During our podcast we will explore the 6 Biggest Blocks to creating a successful business as a service provider. 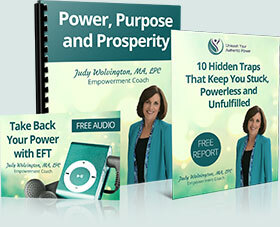 You will also learn how to overcome limiting money beliefs, negative energy drains and distractions, fear of charging too much, anxiety about “selling”, and so much more. Deciding how much to charge for your services is one of the most important things in determining your own future in business. Discover why Doing What You Love is the best model for the success of any business. You will learn how to connect with your gifts and talents, and put them to use in service to others. There is something inside of you that you are here to bring to the world. The time is now to get started.